To better serve customers, Allen has been in the forefront of diamond-point etching technology. 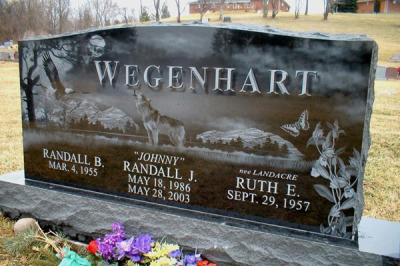 Allen's master artists are renowned for their abilities to personalize memorials with startling realism. Intricate scenes, objects, and special interests can be permanently etched to reflect the memory of your loved one. Intimate portraits are a favorite of Allen's customers. 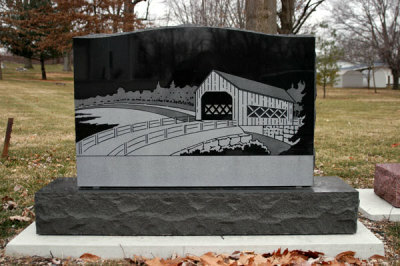 These stunning diamond-point etchings are typically created on beautiful black granite. 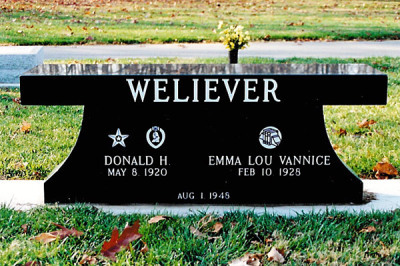 Let Allen's professional staff assist you in creating a unique, one-of-a-kind memorial to commemorate the individuality of your loved one. 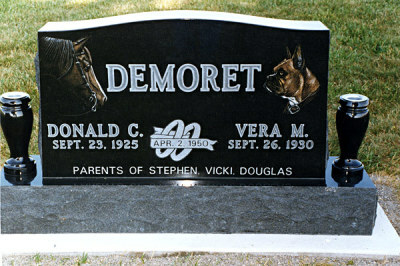 Allen's tremendous variety of memorials includes the very popular lawn markers, bevels and slants. 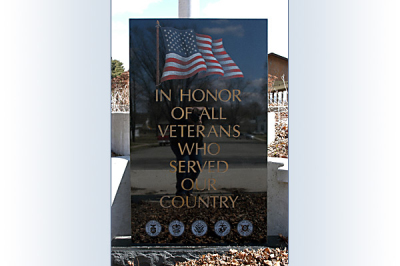 These are industry terms for memorials that are typically low or level to the ground. Allen's quality and selection is unsurpassed and all choices come in either individual or companion sizes. 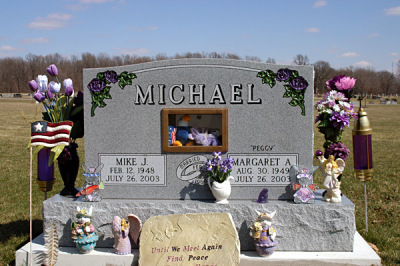 Nothing is more difficult than choosing a memorial for a child or infant. Allen's sensitive staff has years of experience in meeting the needs of families in this position. Respect and understanding are the cornerstones upon which Allen's reputation has been built in the production of these very special memorials. A memorial bench is both a unique and practical memorial to a loved one. 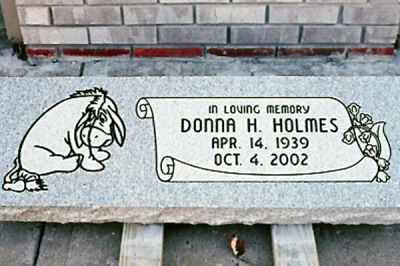 Allen's top quality granite ensures that a memorial bench is a lasting tribute that can be used for generations to come. Above ground entombment remains a popular form of memorial. 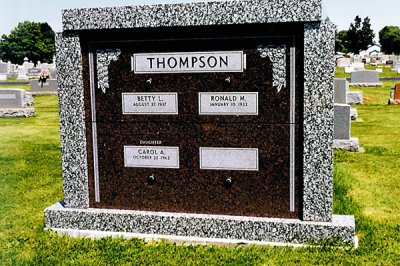 Private or family mausoleums are available in traditional and custom designs. 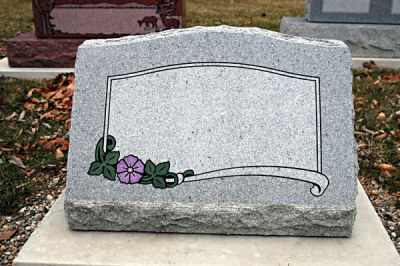 Allen also has the ability to install mausoleums nationwide.